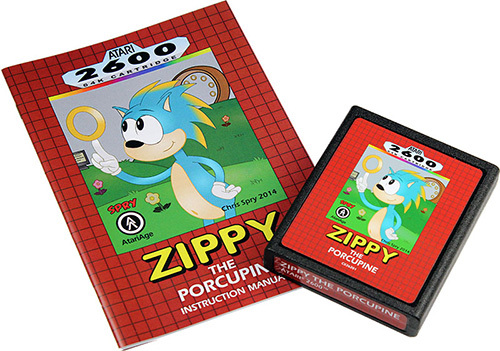 Indie Retro News: Zippy The Porcupine - Sonic The Hedgehog on the Atari 2600? WOW! Zippy The Porcupine - Sonic The Hedgehog on the Atari 2600? WOW! In the early 90's I had the pleasure of playing the mind blowing platformer Sonic the Hedgehog on the Sega Megadrive. A game by Sega which featured a ring collecting blue hedgehog that could spin, run, jump and roll about at the fastest of speeds in a battle against the main antagonist Doctor Eggman, plus a number of other menacing enemies throughout each level. It even had a number of spin offs too which made it such a hit with so many people across the world! 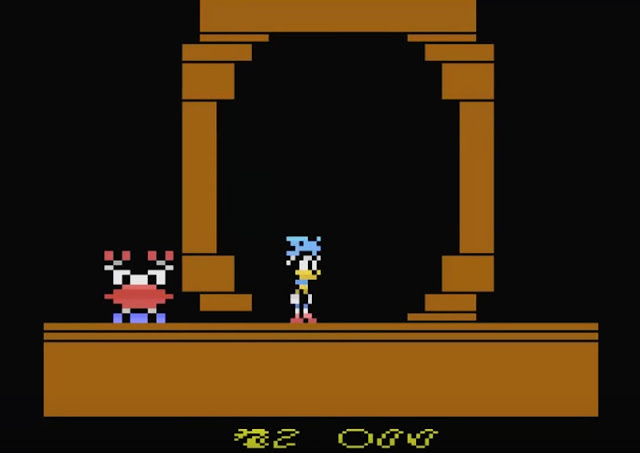 So you may be pleased to read of a Sonic The Hedgehog clone, which in 2013 was announced in development on the Atari 2600 by Sprybug. Furthermore just like in Sonic, you can get hurt by an enemy which will cause you to lose all your rings, but you can get some of them back popping the same one. Find the bonuses as you move along, including the springboard at the top of the levels that will take you to a bonus ring collection stage. Collecting 100 rings will earn you an extra life. Finish a level by flipping the sign by running by it at the end of a stage. It all sounds so amazing for Sonic The Hedgehog fans and considering Zippy The Porcupine was announced in 2013 and released some time in 2014-2015 I'm rather shocked I missed out! Article typo fixed - sorry about that!